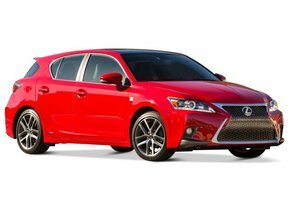 The windscreen replacement of your Lexus? No problem! The car brand Lexus was created in 1989. The reason behind the creation of the brand is not far to be found. Indeed, the Toyota group was already looking for an opportunity to unravel with a luxury division. In the end they managed to succeed with the arrival of the Lexus. In the North American market in particular, the brand was able to compete quickly with established values such as Audi, BMW, Jaguar and, of course, Mercedes-Benz. 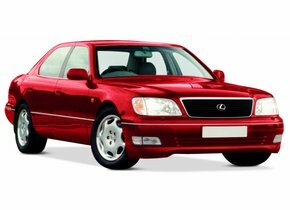 The first Lexus to appear on the European market was not just a car, but a real limousine with a V8 engine. 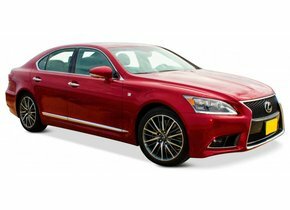 This was the Lexus LS 400. 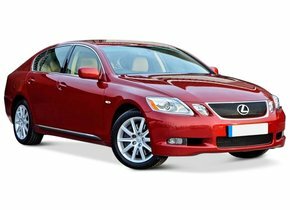 In the meantime, many other Lexus cars have of course appeared, such as the Lexus LFA, the Lexus LS as well as the Lexus ES and IS. Are you the proud owner of a Lexus, but has your windshield suffered damage as a result of rubble during a ride? Autoglas Concurrent will be happy to help you replace your Lexus windscreen. In contrast to the side and rear windows of a car, a windscreen will never simply splash apart in case of damage. For many people, that is already a packet of their heart. However, this does not necessarily mean that creating a crack in your windscreen can have no annoying consequences, on the contrary. The impact of the windscreen damage in question depends on the exact location where it is located. Is the crack located in one of the extreme corners of the windscreen? Then it does not have to pose a major problem in itself. Is she immediately in the driver's field of view? Then you run a significant risk when making a car journey, and that obviously cannot be the intention. In addition, in this situation you need to take into account an additional potential disadvantage. The windscreen replacement of your Lexus can be a requirement for approval of the APK. After all, a window damage that can be found in the driver's field of vision is a significant danger. This is also true not only for the occupants of the vehicle, but also for the other people who are currently on the streets. Because of this fact, a crack in your windscreen can be a perfect reason to be rejected for the APK. Fortunately, windscreen replacement of the Lexus can occur in time. Do you want to postpone this because you fear sky-high costs? Autoglas Concurrent offers you the most interesting solution in this respect. 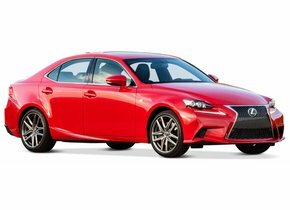 The assumption that a windscreen replacement of a Lexus is always accompanied by a very high price is not at all correct. In order to be able to make the right choice, it is first of all important to take into account that there are two different types of car windows. In this respect, we distinguish an original new Lexus windscreen, but also an after-market car window. The windscreen replacement of a Lexus with after-market automotive glass is always much more economical, despite the fact that there is no need to return it in terms of quality. How exactly is that possible? Very simple. An original Lexus windscreen is always provided with a brand logo. Only the presence of this brand logo ensures the high price. This is because this logo ensures that its sale is only allowed to authorised dealers. Occasionally original automotive glass is offered on the second-hand market, but even then they are usually even more expensive than after-market car windows. In terms of quality differences, you have nothing to fear at all. We can guarantee this with all certainty because both the original and the after-market car windows are not only made in the same factory, but are also part of the same production line. In addition, the automotive glass from Autoglas Concurrent is produced according to the strictest European quality standards, ensuring the best possible quality is always guaranteed. The windscreen replacement of your Lexus with after-market automotive glass always gives you a very interesting financial advantage. That's a good idea, but who exactly is going to replace the damaged car window for the new one? If you cannot replace it yourself, the windscreen replacement of the Lexus can be done with us by one of our FOCWA-certified partners. These professionals already have years of experience and have acquired excellent expertise. 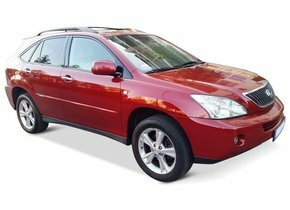 In this way, your Lexus windscreen can be replaced not only in the best possible way, but you can also return to the road with your repaired car in the very short term. Do you also want to have a windscreen replacement for your Lexus? Do not hesitate any longer and choose to call on the excellent services of Autoglas Concurrent!